We are so excited to welcome the first baby animal rescue in over a decade, and also the first rescue of 2019. 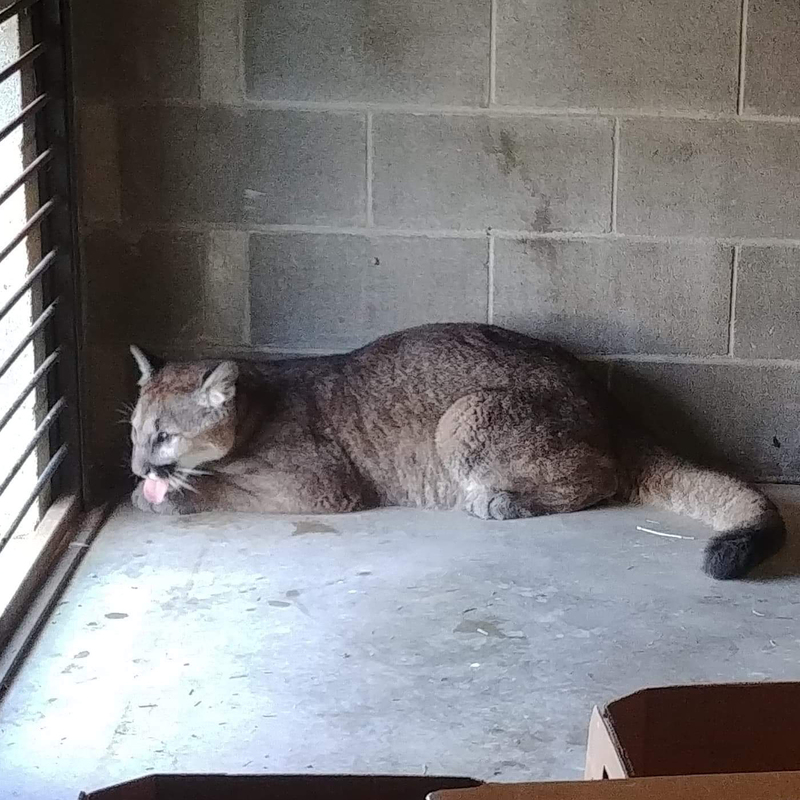 The Washington Department of Fish and Wildlife put out the call for a home for the wild cat when residents in a Cle Elum, Washington neighborhood reported the four-month-old orphaned cougar in their backyards. The wild-caught cougar has been named Beausoleil as a tribute to Officer Beausoleil, who went above and beyond to assure this cougar had a sanctuary to call home. The Wildcat Sanctuary in MN played an integral part in the 2,747 mile, three day, coast-to-coast trip. Once permits were secured at both ends of the country, the cougar rode an airplane from Washington to Minnesota. Staff from The Wildcat Sanctuary drove the cat from Minnesota to Indianapolis, where they met a transport vehicle from Carolina Tiger Rescue for the last ten-hour leg of the voyage to the cougar’s new home. 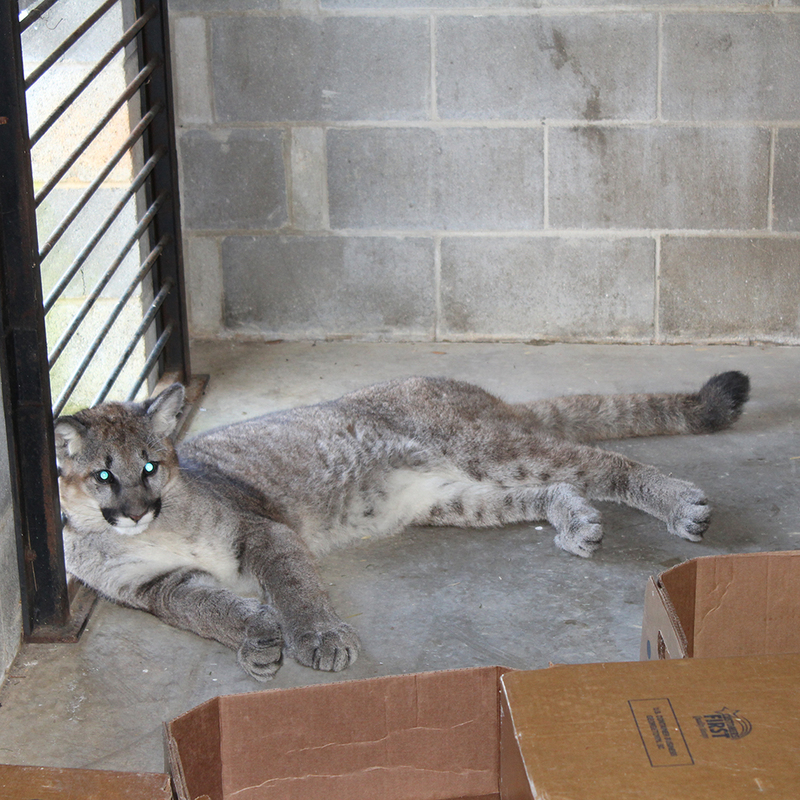 The cougar, like all new rescues, will go through a 30-day quarantine period. 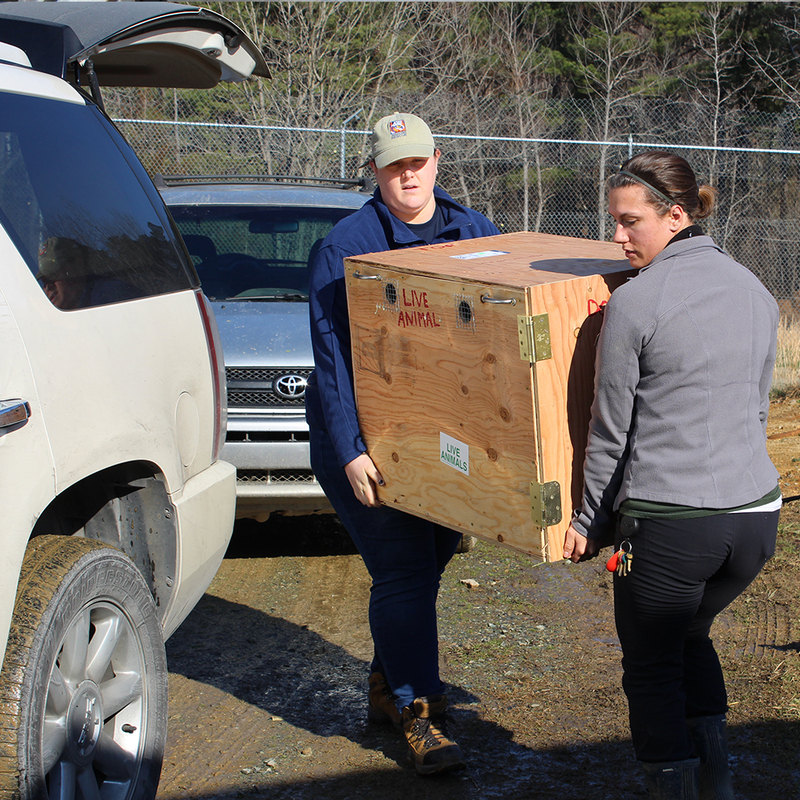 In that time, he will receive a medical exam and the animal care team will also learn more about the cougar. The team will be able to further assess his needs. The cost of the rescue, quarantine, and a new habitat will be $20,500. 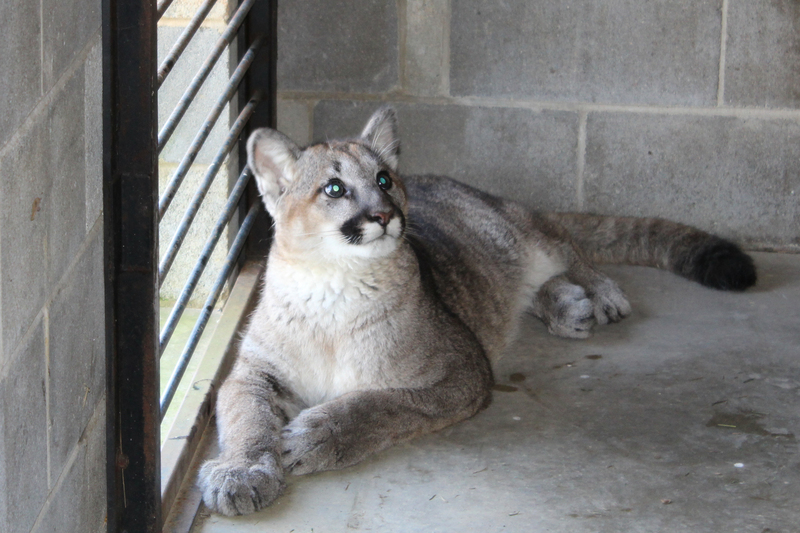 You can help our young cougar by giving on our website or through the sanctuary’s Facebook page. If you’re mailing a check, please have “Rescue” in the memo line and send to: 1940 Hanks Chapel Road, Pittsboro, N.C. 27312. One hundred percent of donations go toward the care of the animals and education.